One of our top picks in San Pedro.Located on the beachfront on Ambergris Caye, these elegant villas feature wonderful sea views. Belizean Cove Estates offers an outdoor pool, tropical gardens and resort shuttle at a surcharge from San Pedro, 3.1 mi away. 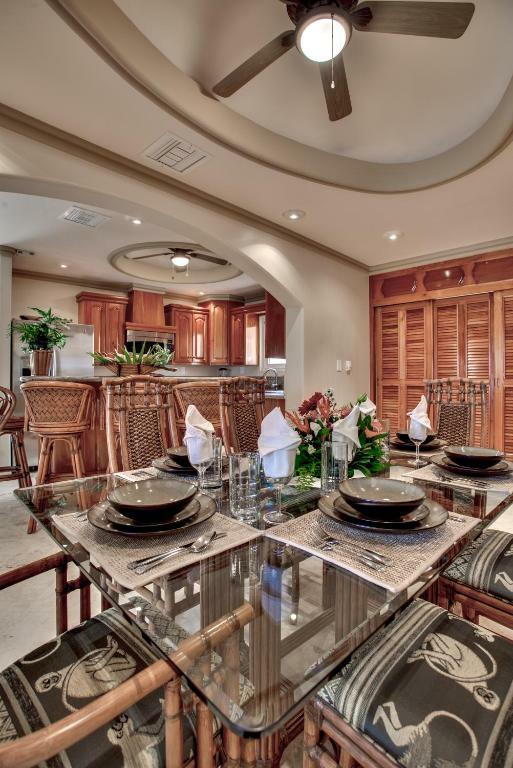 Each fully equipped Belizean Cove villa features stylish contemporary décor, air conditioning and free Wi-Fi. All villas have a spacious living room with flat-screen cable TV and a modern kitchen with a stove and fridge-freezer. 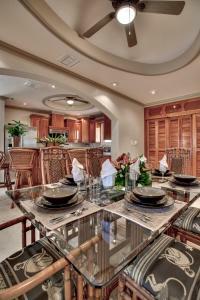 A private chef and grocery delivery services are available on request at Belizean Cove Estates. You can also find a restaurant next door, serving fresh local seafood, steaks, crepes and homemade bread and desserts. You can explore the island and surrounding coral reefs using the property’s free bicycles and sea kayaks. The popular Mexico Rocks snorkeling spot is 3.7 mi away, while Hol Chan Marine Reserve is 6.8 mi away. When would you like to stay at Belizean Cove Estates? This elegant 1-bedroom villa has a private porch with stunning sea views. It features stylish contemporary décor, air conditioning and free Wi-Fi. There is a spacious living room with a flat-screen cable TV, a modern bathroom with free toiletries and a full kitchen with a stove and fridge-freezer. 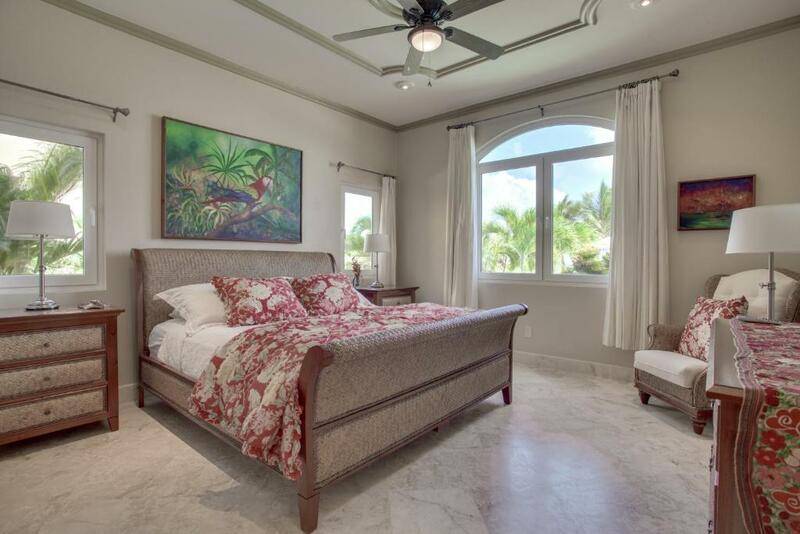 This elegant 2-bedroom villa has a private porch with stunning sea views. It features stylish contemporary décor, air conditioning and free Wi-Fi. There is a spacious living room with a flat-screen cable TV, 2 modern bathrooms with free toiletries and a full kitchen with a stove and fridge-freezer. This elegant 3-bedroom villa has a private porch with stunning sea views. It features stylish contemporary décor, air conditioning and free Wi-Fi. There is a spacious living room with a flat-screen cable TV, 3 modern bathrooms with free toiletries and a full kitchen with a stove and fridge-freezer. 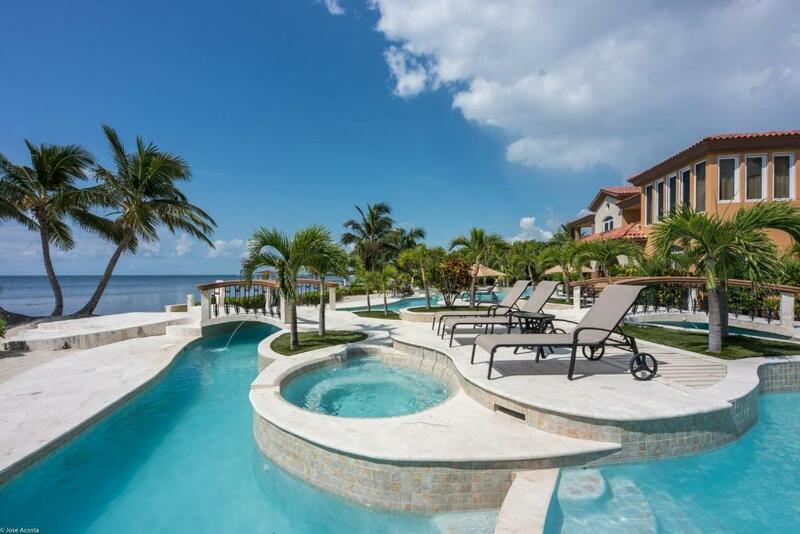 Belizean Cove Estates offers a collection of secluded, luxurious beachfront villas each elegantly decorated with its own unique style and décor. Private, spacious luxury is at the forefront of these tastefully adorned villas each providing all the necessities, comforts, and conveniences of home. 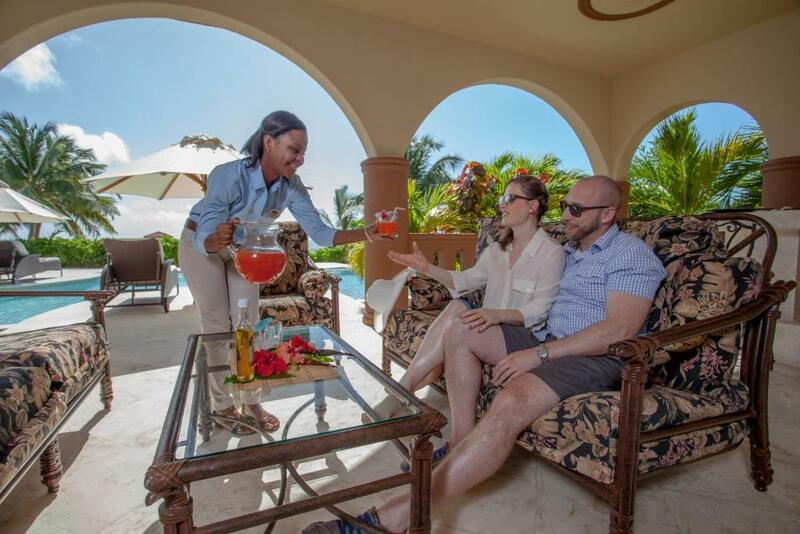 Each three bedroom villa is well suited for large family groups or couples traveling together who are seeking an intimate, secluded and elegant holiday home for extended vacations or special occasions. One and two bedroom options are also available. Located on Ambergris Caye, 3 miles north of San Pedro, Belizean Cove Estates stands alone among other Belize resorts and Belize vacation rentals. 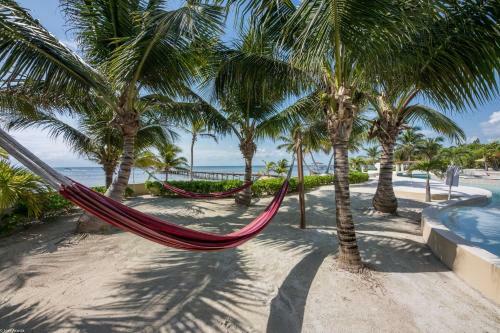 The Cove caters to discerning travelers looking for privacy, seclusion and is designed to help guests relax and enjoy the very best of Ambergris Caye, Belize. House Rules Belizean Cove Estates takes special requests – add in the next step! Belizean Cove Estates accepts these cards and reserves the right to temporarily hold an amount prior to arrival. Guests need be quiet between 8:00 PM and 7:00 AM. Please note that once you land in San Pedro, Ambergris Caye, a representative will meet you and will assist you to get on the next available transfer. There is a surcharge of US$10 per person for one way. Transportation from San Pedro Town to Belizean Cove Estates, arrival and departure transfers leave once per hour. 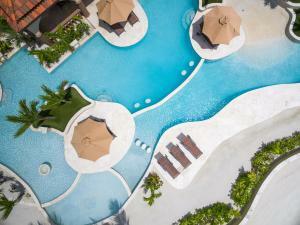 Please inform Belizean Cove Estates of your expected arrival time in advance. You can use the Special Requests box when booking, or contact the property directly using the contact details in your confirmation. We need at least 5 reviews before we can calculate a review score. If you book and review your stay, you can help Belizean Cove Estates meet this goal. Excellent place to stay. Very quiet which is what we wanted. Excursions have to be planned or booked 24 hrs. prior, so you can't do them on a whim. Most of the excursion you have to travel by boat or plane and have to leave at 5:45am, last half or a full day. I loved the property and the staff was wonderful especially Casey and Baldmire, helpful and very courteous.